We’re going to give it away right up front: lighting is probably the most important element to shooting solid product photography. When isn’t it in photography? But because getting the nitty-gritty details is often so important, there’s a lot more involved in planning and setting up your product shots. For some product photography lighting tips and advice on getting those miraculously detailed images, we talked to product photographer Lucas Zarebinski. Lucas is routinely sought out by editorial and advertising clients for his food photography and unique concepts for fashion and electronic products. His edgy work has appeared in magazines such as Men’s Health, Prevention, Bicycling, and Details. Unlike photographing a person or group of people, “It’s entirely up to you to create the photograph – there is no active collaboration between you and the object,” says Lucas. “Product photography requires a greater attention to detail and critical lighting skills since you find yourself a lot closer to the subject than most cases.” While getting into someone’s personal space during a shoot might be inappropriate for a living subject, it’s encouraged in product photography. “It’s all about styling your subject prior to shooting and coming up with the right approach,” notes Lucas, who carefully studies all the product’s details before even setting up lights. Familiarize yourself with the ins and outs of the product, and you’ll be better prepared to light it. Avoid harsh shadows and aim for softer lighting (try using a light tent or softbox), which helps the viewer focus on the details. You can start by aiming two lights down on the product, and then adjust the brightness and angle to bring out the right texture. In most cases, you’ll also want to remove all distractions from the shot and create a simple composition. This is particularly important for editorial clients who will likely want to add text or position several products on the same page. Remember: you’re the photographer on set. So just as you wouldn’t want the stylist or art director on set to interfere with your shooting, be sure to return the favor. Sure, it’s fine to collaborate with them, but don’t step on their toes. Trust their expert and leave it to them to do what they’ve been trained to do. For the above shots, Lucas let the food stylist pick out and arrange the best looking. “As much as you try to figure out everything before the shoot, you still need to leave room for changes – things might look better or worse from what you planned,” he says. Lucas reminds us that it’s okay to do some extra work in post-production. There are always corrections to be made, no matter how good your product photography lighting might be. You might even find that you spend as much time post-processing as you do shooting. “Sometimes it’s just a simple clean-up of dust and scratches, but in most cases things need to be layered, enhanced, and re-positioned,” says Lucas. Other techniques often include color boost, contrast change, and sharpening. Or you might simply want to create a concept that’s impossible to get in real life. “I think these days all commercial photography is retouched to some level,” Lucas says. If you’ve worked in product photography before, what do you think are some of the most common misconceptions about lighting objects vs. people? Share your expertise in the comments. Clipping path is now an important service for all kinds of online based company that provides online promotional business like online shop, E-commerce business, design house etc. clipped images are also most useful things for e-commerce trades which have a group of product’s images to attract the probable customers. Clipped images are being used in Posters, flyers, brochure, websites, catalogs, magazines, newspaper, photo house, advertising and all different sector where images are used frequently. That’s why clipping path service is becoming very useful thing to Advertising agencies, e-commerce business provider, photographers, design house, publishing companies, affiliate marketer, graphic house and web developers. In the digital agency, using of photo editing service is very high. A large amount of clipped images are used in advertising agencies, promotion agencies, marketing agencies, design agencies, social media agency, media planning agencies, branding or identity agencies and public relation agencies. Some of them are fully depended on photo editing techniques where clipped images are their raw material. This Types of Company needs clipping path service very effectively because all e-commerce business sites are fully online based. They outreach their information and products by internet. Product’s clipped images are being used in business to business communication, business to consumer communication, consumer to consumer relation, consumer to administration connection and others e-commerce businesses sector. Online shop is known as electronic retail service or e-shop service where consumers buy products or services directly from online sellers over the internet. E-shopping is the best alternative way to physically going in market. In online shop, shopkeepers sell their products to customers through product’s image with text. So all web stores and E-shops need clipping path service at widely. Generally Online Book Keeping Shop, Online Grocery Store, Online Bakery Shop, Online Delicatessen, Online Liquor Store, Online Drugstore, Online Hardware Store, Online Newsstand shop, Online Boutique house displays their product’s image on their web-shop. Clipped images are an important portion of any website. Maximum amount of e-commerce and online shop’s websites are filled with product’s image. Image processing service is most relevant sector with web development sector. Clipped images are used in website’s visual content, product or service part, alt tags, portfolio, blog page and other Purposes. There are many printing house like Digital printing company, electrostatic printing house, flexography, gravure printing house, letterpress, offset lithography, thermography, screen printing and photo printing company needs clipping path service hardly. A large amount of clipped images are used printing sector frequently. Photo Studios are involved with different types of photographers and photography house where clipping path service is used hugely. 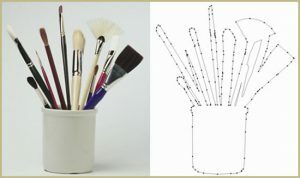 This sector needs large amount photos individually or corporate purpose which are processed by clipping path technique. Advertising design studio, in-design house, fashion design house, architecture design house, factory shape design house and other design studios are quite depended on clipping path service. Clipping path is the fundamental step for any kinds of composite design. It is also use in product design, interface design, visual design and engineering design sectors. Clipped photos are appropriate part for all publishing sectors like photo publishers, book publishing house, printing publishers, newspaper publisher and magazine publishing Company. Maximum numbers of publishing companies have photo editing sector where clipping photos technique is used as a large volume from others editing service. There are no found any online based companies in the world where processed images are not used frequently. Processed images are most useful object for different online stages like online community, online media, online service provider companies and different social media sectors. Not only online purpose but also traditional marketing techniques need this service. There are some photo outsourcing company that provide image manipulation service like clipping path, photo retouching and color correction services to individual clients. So all the outsourcing company is fully depend on this service who outsource clipping path service mainly. 1. You can scale your efforts quickly and in bursts. When you build an internal content team, you risk being forced to hire quickly when it’s time to scale up your efforts or make major layoffs when you want to scale down. But if you’ve outsourced your content to a trustworthy agency, your ability to scale is limited only by budget, not your team’s time or personnel resources. And for a fast-growing startup, this ability is helpful. 2. Custom technology can empower your team. Hiring an agency focused on effective, collaborative content creation and management means you can gain access to that agency’s tools rather than use general software that doesn’t meet your specific needs or build your own tech, which requires significant time, talent and financial investment. For example, Influence & Co.’s clients have access to CORE, our proprietary content technology, that allows them to access their content, view their content’s analytics and even showcase their published content on their public profile, which makes the entire process easier, more enjoyable and more transparent. 3. You can save time and money. No matter how much confidence you have in your marketing team, if it’s already focused on executing 10 other marketing initiatives, content creation, management and distribution won’t be as timely, as high-quality or as efficient as an outsourced firm that specializes in content marketing. If you’re in a time crunch, consider using a knowledge management template to streamline your content creation efforts. Content curators collect, organize and deliver published content that’s relevant to you or your audience to help you grow a following. They’ll usually deliver content for your social platforms, blog and email newsletter on a weekly or monthly basis. Normally, this is content that’s been published before in online publications and may be tweaked a bit to fit your branding, but it’s not unique to you, exclusive to you or bylined by you. Implementers take your documented strategy and execute the content creation. It’ll normally be a network of freelance writers who turn around articles based on your parameters, such as cost, quality and time. This is a good option for companies looking to churn out high quantities of average-quality content very quickly. Content marketing partners handle everything from strategy development to content creation, editing, publishing, distribution and analytics, and they act as true partners in your team’s marketing efforts. Partner agencies often assign teams of account managers, content strategists, writers and editors to work with you to understand your company, your audience and your goals and to create content in collaboration with you. While I’m biased toward a partnership firm as the best kind of outsourced agency relationship (as my team and I built Influence & Co. to act as a content partner), only you and your team know what type of relationship meets your needs. Outsourcing your content means you understand your team’s limitations and want to be confident that your content marketing is as high-quality and effective as possible. And delegating it to the experts at an outsourced content marketing agency can achieve just that. At Clyde Pixel Ltd, we strive to be the worlds best editor of visual content. Reliability, efficiency and quality are the core values of our company and they are at the heart of everything we do. They apply to the work done by our skilled and committed editing professionals, to our rock solid work flow automation and to our extraordinary customer support. Following our core values has earned us our clients trust. We work hard everyday to keep that trust. And by doing so we help to uphold and improve your image, and your images.